Signapore Telecommunications, often referred to as Singtel, has announced a regional esports tournament which will take place in at Suntec Singapore from October 5-7th. Singtel is a large telecommunications provider in Southeast Asia, and will host the tournament – titled the PVP eSports Championship – with operators from five different Asia-Pacific countries. There will be a prize pool of $300,000 (£226,020) up for grabs. The event will see amateur gamers from Signapore, the Philippines, Indonesia, Australia, and India compete on both mobile and PC titles such as Arena of Valor, Hearthstone, and Dota 2. Competitors from America, Europe, and China will also receive invitations to take part. The championship is a joint effort with Singtel and Advanced Info Service of Thailand, Indonesian company Telekomunikasi Selular, the Philippines’ Globe Telecom, Indian company Bharti Airtel, and its Australian subsidiary Optus. Gaming platform Garena, gaming peripheral giant Razer, and esports event organiser MET are all also involved. This venture has been created with the goal of creating demand for Singtel’s services. The gameplay will be livestreamed on Singtel’s streaming platform Hooq as well as other undisclosed platforms. Singtel isn’t the first telecomms company to venture into esports. AT&T recently got involved with ESL’s mobile operations, while Vodafone sponsors Giants Gaming, is partnered with VfL Wolsburg, and has an international partnership with ESL too. T-Mobile is a sponsor of the Overwatch League and Houston Outlaws, while recently FC Schalke 04 announced a three-year partnership with Deutsche Glasfaser. 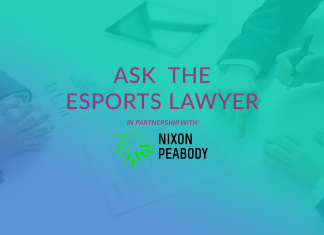 Esports Insider says: We’re seeing more and more telecommunications company getting involved with esports, and creating a brand new tournament for amateur gamers is definitely one of the more impactful ways to make an entrace. We’re glad to see so many other non-endemic companies getting involved in the action, too. Next articleWorld Showdown of Esports – the main rival to IEM?